Kenny started asking me this question about a week ago. He asks it every time I: A) Tell him to do (or not do) something, and B) Every time he wants to do something that he knows he may not be allowed to do. Every time he climbs in his car seat, it’s “What do little boys do?” and every time I tell him it’s time for a nap, the same question. I’m not really sure where it came from. It’s bewildering and cute all at once, perplexing, and yet I really think he’s learning about making choices for himself through this odd game. I’m not sure why he’s asking in the third person, but maybe he’s trying to find out if rules are for everybody (or rather, all little boys), or just for him. I figured out yesterday that I can turn it around to great effect. When he wouldn’t stop climbing on a particularly dangerous set of stairs at my parent’s house yesterday, I said, “Kenny, little boys obey their Mamas when they say no climbing.” He looked up, almost surprised, and got off the stairs. We set out before dinner and got our Christmas tree today, too. When we stood it up in the living room, Kenny sighed, “Woooooow! That’s our tree!” Sometimes it’s hard to remember that he’s only two! I just ran across your blog while looking for Christian blogs. 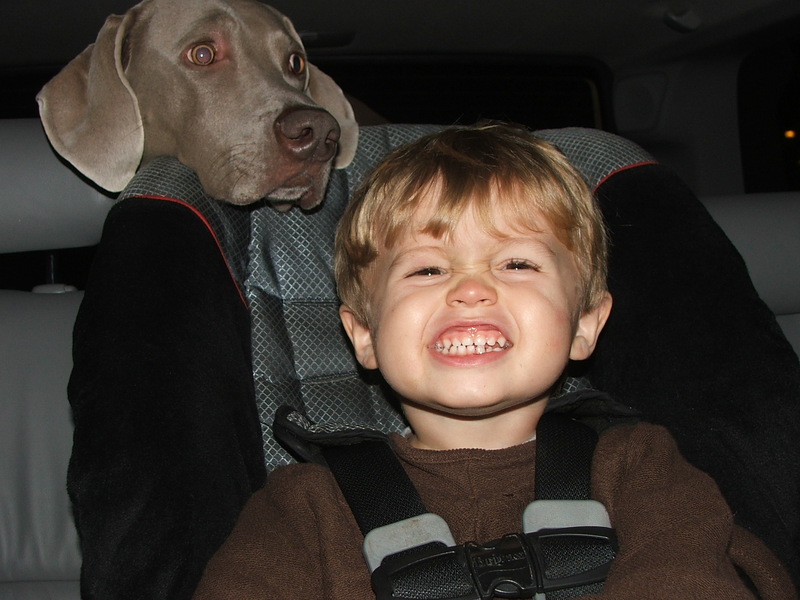 I have 3 boys of my own and a Weimaraner too. Boys will be boys.